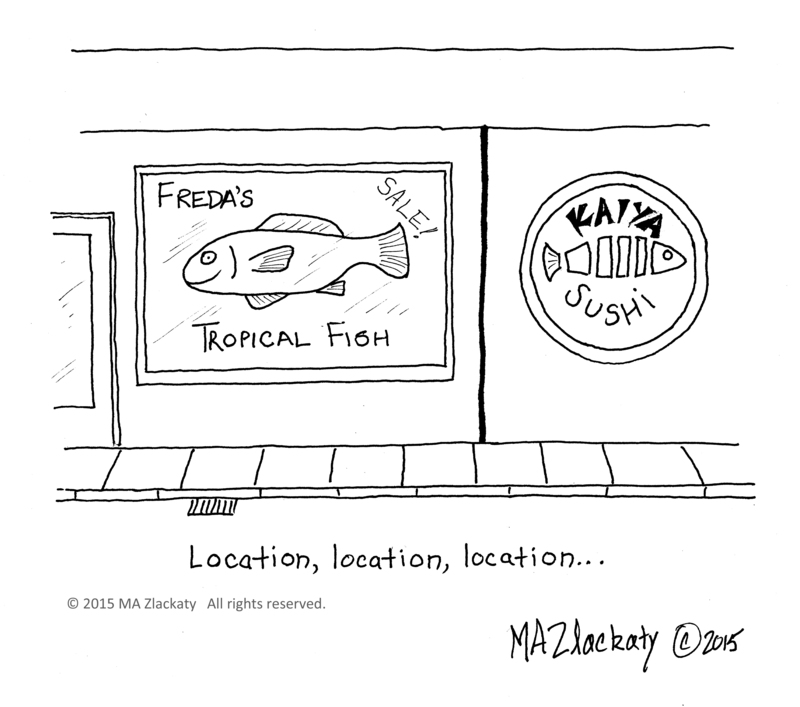 This entry was posted in 3 L's and tagged Cartoon, Fish, Humor, Location, Parody, Sushi on May 29, 2015 by M.A. Zlackaty. Now, find me a steakhouse next to the lion’s cage at a petting zoo! An interesting idea, with a small twist or two it could be a useful subject….hmmm.